A great dog food should use real meat, or at least a real meat meal, as its main protein source. It should also use natural methods to preserve the food rather than harmful chemicals, and it shouldn’t contain any by-products. The following brands are listed in no particular order. However, they all meet the criteria already set forth. Karma Organic: According the Dog Food Project, this pet food formula is considered 95 percent organic. Karma’s main source of protein is organic, free-range chicken, not “poultry by-products.” Their secondary source of protein is organic brown rice, and they use vitamins E and C as preservatives. Orijen: This brand is produced on a small scale in Canada and sources its protein locally. 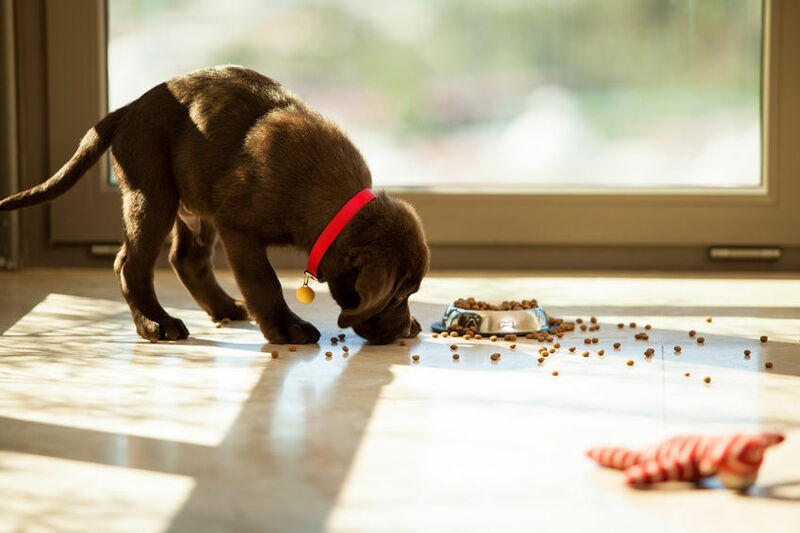 The first five ingredients in their adult dog formula are fresh boneless chicken, chicken meal, fresh boneless salmon, turkey meal, and herring meal. By “fresh” Orijen means the meat is delivered fresh and is never frozen. The company also uses a combination of vitamin E and airtight packaging to preserve freshness in the finished product. Newman’s Own Organics: According to the company’s own website, Newman’s Own is 95 percent organic, so it is worthy of consideration. The formula contains chicken and chicken meal as its first two protein sources, with chicken liver weighing in further down the ingredient list. Vitamins C and E are used as preservatives instead of the chemicals ethoxyquin, BHT and BHA. Fromm Adult Gold: Duck, chicken meal, chicken and brown rice are the first four ingredients and protein sources. Whole egg is also included. This brand preserves their product with mixed tocopherals and citric acid. Wellness Lamb Super5Mix: Lamb is the number one ingredient and protein source in this mix, followed by Menhaden fish meal. Salmon meal weighs in at number nine. This formula contains no artificial preservatives, flavors or dyes. Blue Buffalo: Blue’s Adult Chicken and Rice formula contains deboned chicken and chicken meal as the main sources of protein. Blue also promises not to use chicken or other poultry by-product meals, as well as artificial preservatives, colors or flavors. Califoria Naturanl: This brand’s Adult Lamb Meal & Rice formula has one of the simplest ingredient lists, making it a good candidate for dogs suffering from food allergies. Lamb meal is listed as its only meat source, with additional protein provided by a combination of brown and white rice respectively. This brand does not include chemical preservatives.